When all of my clothes and gear were stolen from my hotel room a few months back - one of items dearest to my heart that showed up missing were my favorite shorts - some vintage Maui and Sons baggies/house shorts (pic after the jump). 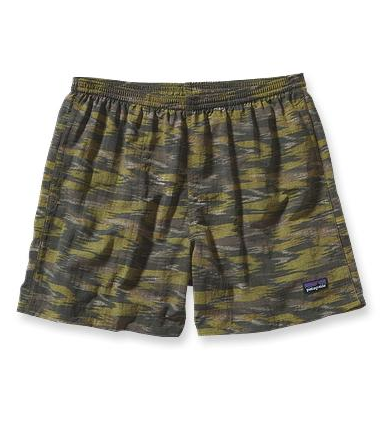 I haven't come anywhere close to replacing them - so might need to start fresh with a new pair in a similar style from Patagonia, and start breaking them in now. Available in 5' and 7' inseam, purchase here.